Let actor George Burns make you feel like you're dancing on air inShall We Dance? I love a book that has many different stories I can read within that book. It means for one, I can read a short story while I'm waiting at the doctors, waiting on the kids school bus or just about anywhere. I also love stories that move me. And if you can do both within a short amount of time and pages it's even better. Reader's Digest Treasury of Joy and Inspiration brought just that to me, lots of Joy and got me inspired while reading the many different stories the book has to offer. It took me all of two days to read these wonderful stories. There were some stories that made me laugh and some that brought tears to my eyes. One of my favorite ones had to be, "A Love Like No Other," by Skip Hollandsworth. So many emotions were felt while reading that story. This is definitely a book that should be read by all. The stories in this book will touch and move you in some way. Definitely a great read! Disclosure: All opinions are my own. 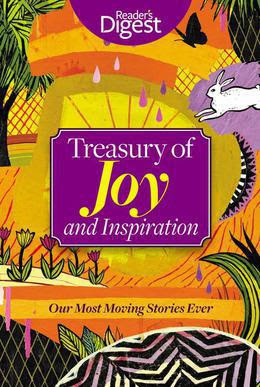 I received Reader's Digest: Treasury of Joy and Inspiration at no cost for the purpose of this review. No other compensation was received.